WEST ORANGE, NJ - Gary R. Englert, 63, retired United States Army, NCOIC, Aviation Safety, 14th Combat Aviation Battalion, and long-time West Orange resident, passed away suddenly on Jan. 12. A Vietnam veteran, Englert graduated from West Orange High School in 1969 and enlisted in the Army. He received the NJ Distinguished service medal, two Bronze Stars and the Four Chaplains Award. He was also an Army Ranger. 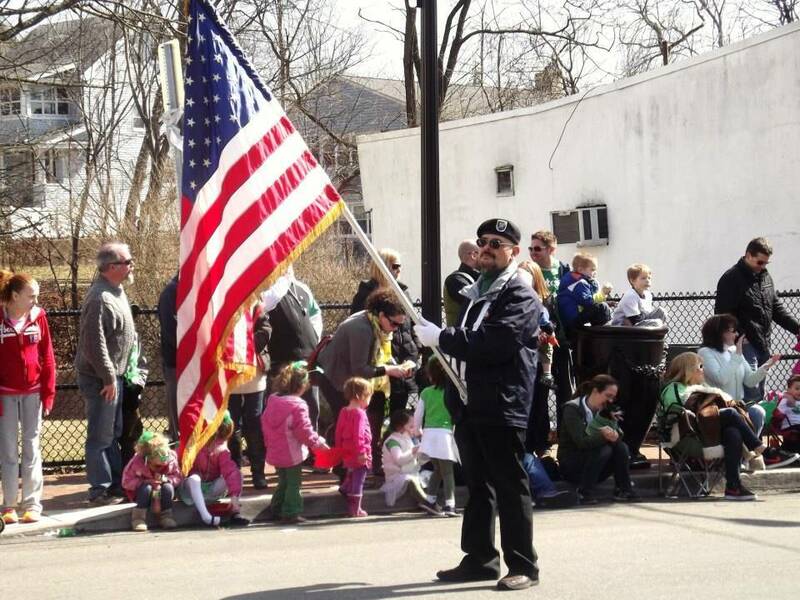 “There was no single person more passionate about West Orange and its best interests, and in particular, its veterans,” said Assemblyman John McKeon. Englert worked under McKeon during McKeon's tenure as Mayor of West Orange. Englert was well-known for his tireless energy on behalf of homeless and struggling veterans with the NJ Disabled Service and Veterans programs and as chairperson for the township’s Memorial and Veterans Day ceremonies. Englert’s efforts to present 360 New Jersey Distinguished Service Medals to West Orange servicemen and women gave West Orange the distinction of being "New Jersey's Most Decorated Community." In 2013, Englert led the initiative to restore the monuments in the West Orange War Memorial Park. 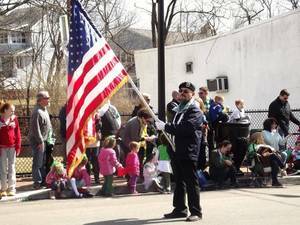 He served for several years as Vice-Commander of VFW Post 376 and the Township’s Military Affairs Commission. Englert was instrumental in West Orange Township governmental reform in the 1990s. He served as Superintendent of Public Works for West Orange Township from 1999 to 2005 and was integral to the development of the Oscar Schindler Performing Arts Center (OSPAC). From 2005-2011, he worked as Director at the NJ State Department of Veterans Affairs in Trenton. 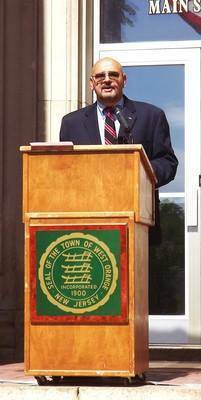 During the Township Sesiquencentennial Celebration in July of 2012, Englert placed a record of the then 345 West Orange residents that had received Distinguished Service Medals, along with reproductions of other awards given to West Orange veterans. He noted, "It is my fervent hope that war will be eradicated in the next 50 years." Englert is survived by his daughters, Jessica Rifice (Nicholas) and Kathryn Thurlow (Ryan); his grandchildren, Luca and Nico Rifice, and Presley and Lennon Thurlow; siblings, George Jr. (Sue), Geoffrey Englert and Gayle Englert, and an army of friends. The viewing will be held at Quinn Hopping Funeral Home, 145 E. Mt. Pleasant Ave., Livingston, N.J., on Monday, Jan. 19, 2015, from 1 to 3 p.m. and 5 to 8 p.m., with a memorial service at 7:30 p.m. Interment will be at 12:30 p.m. on Jan. 23, at Brig. General Wm C. Doyle Cemetery, 350 Province Line Road, Wrightstown, N.J. In lieu of flowers, contributions may be sent to Vietnam Veterans of America. To view Gary Englert’s obituary, go here.